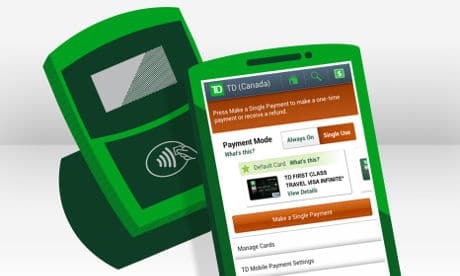 Canada’s TD Bank Group has added support for host card emulation (HCE) based mobile payments to the TD Mobile Payment application that it launched in May 2014. The service is the first in Canada to make use of Visa’s tokenization technology, the bank says. “All that is required is a personal TD credit card loaded on an Android phone running KitKat version 4.4 or higher,” TD says. “Purchases can be made by holding your smartphone over the merchant point of sale terminal for a few seconds.